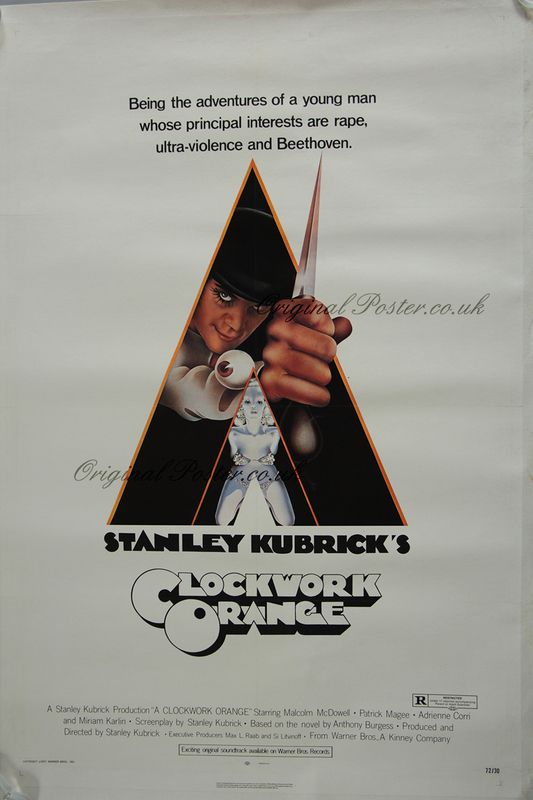 Details Not seen between 1974 when the film was quietly withdrawn by Stanley Kubrick the director until after his death when the film was re-introduced. Strange that sequentially this poster follows "The Big Wednesday" which is about the taking of responsibility. Not a masterpiece but an interesting poster on a film that would perhaps had been better left unmade. Please note this movie poster has been backed onto linen, having previously been in folded condition.